Blogs have been absent from this site for two weeks due to the writer’s testing the efficacy of the VIHA medical system and its vagaries. During this time “heaps” has happened on the National and local scene. Probably the biggest issue concerns our National Men’s Sevens players boycotting training for the “collective program”, aka “qualify for RWC”, resulting in a reduction of their livable wage. This is nothing new, although the amalgamation is a “one-off” attempt to assure qualifying via the repecharge route. There are many aspects to the argument and it is hard to suppress a personal opinion on this forum. Obviously, qualification will earn a vital $2 million over the next four years for operating costs. It is difficult to imagine any sponsorship with that kind of ‘pocket-depth’ for our current product. On the other hand the question of equity and cutting a minimal wage from a group of players who have enabled the average Canadian fan to at least keep our heads up due to their successes in the core group on the Seven’s front is unconscionable. The recent, almost arrogant response from Head Honcho, Vasson of finding “replacements” is absolute piffle, not to mention, a slight to our players. The organization needs to look within, go lean, reinstate the salaries and offer a laurel leaf, if indeed it can be big enough to apologize, realistically review and move on. Enough on this one. Opinions can be scoured across the web, none more interesting than those of recently retired former captain and stalwart, John Moonlight, on his Twitter feed. Other National news was the interest the Men’s U20’s aroused at the recent JWRT. Finding themselves on the tougher side of the draw, the men ended in 7th place; losing to Portugal, 29 – 31; Uruguay, 23 – 27; Fiji, 26 – 53, before ending with a massive eleven-try, 71 point outbreak (71 – 14) against Rumania. Some spin has already come out of this, regardless, we recognize the efforts of the men and Jeff Williams and his staff. As mentioned, the biopsies have come thick and fast and we have seen it all before. Just maybe, for once there will be real follow-up of the analysis for next year. CW youngster, Schellie, bagged more than his fair share and reading between the lines, Josiah Morra also impressed. Young Lockie Kratz got a start in one and playing time in others. Finally, it will be interesting to see if the rumor mill is correct about a number of players earning “carded status”. Will this take them to Langford full-time and out of club rugby as well? The camera now rolls to the B.C. scene. The Senior Men’s Bears finished in third place in the CRC’s, Ontario Blues (DJ Sears, DiNardo, and Woolridge), taking yet another title. The Bears (Fraser, Pitblado, Dobravsky, Finnemore, Braddock and Stewart), ended up with a pleasing-enough 48 – 36 win over the Wolfpack. A footnote to this story is the work done by Coach Manning and the CW boys whilst in Calgary. The Autism Asperger’s Friendship Society, running specialized sports program for some 600 Calgary youth, recently took a van of players to go to Edmonton to watch the Canada Vs Scotland game and the kids were hooked. When the Program Director found out the CRC’s were in Calgary, he reached out to team management and coaches and B.C.’s (CW’s) Scott Manning responded. 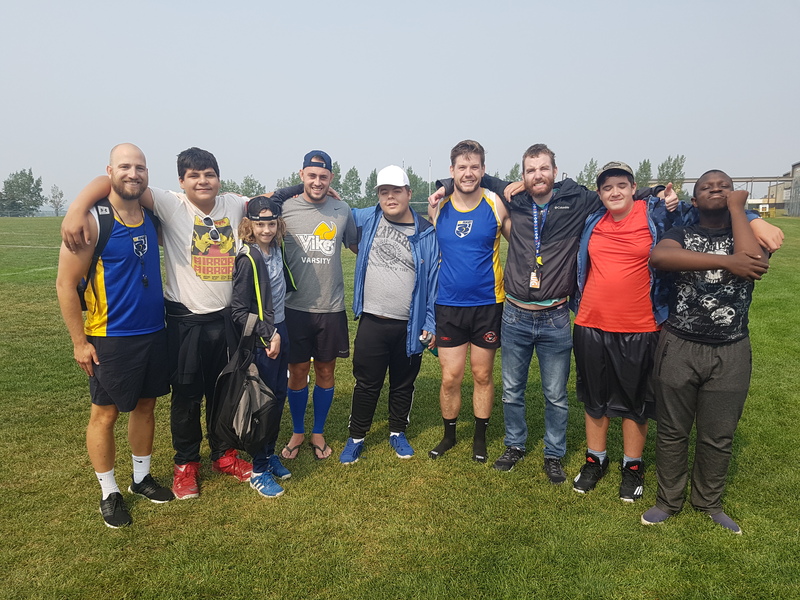 There was also other strong support from the respective finalists and Rugby Canada and an AAFS team was “formed”, (“Yes we can!”) Our boys, Nate, James, Mike, Doug, John and Dustin got in a session or two with the youth – girls and boys. 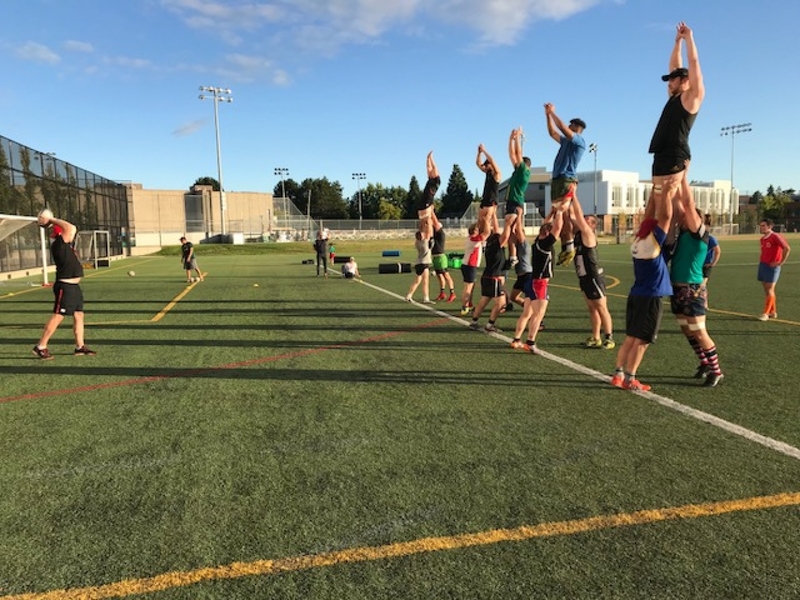 To sustain and further the rugby connection, Coordinator, Scott Godfrey ( ) is trying to connect each of the youth with a club as a “Training Partner” and asks for an e-mail address and perhaps a jersey or two. It is to be hoped the club takes this cause up and continues to be an inspiration to these challenged young people. 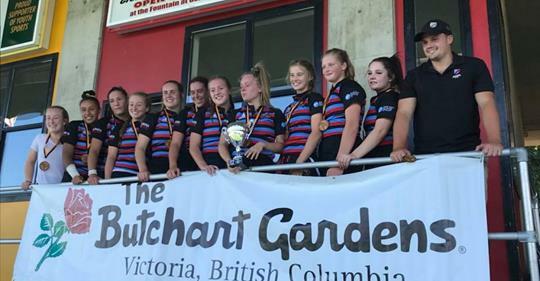 Preseason play in Victoria saw the Annual Westhills Sevens, sponsored by Westshore Rugby and we are pleased to offer our congratulations to CW U19 Ladies winning the first ever U19 division. At The Park, the troops were in training for the opening round matches, the men over to MacDonald and the women to Comox. CW, according to the score lines, looked a little “under done”! The women took it on the chin, 21 – 39, a wonderful tribute to their hosts and in general, showing the increased growth and strength of women’s rugby. The Men’s Reserves, ahead 17 – 7 at the half, retained the gap when Riley’s Return was completed, diving over for the day’s final try and 29 – 19 win. Sixteen month’s hiatus from heart surgery shows the tenacity of most of the people who play our game. The Premier match (I think), was for Barnard Cup points only in this home and away series, however, the return encounter is evidently worth both Barnard Cup and Premier points. This all sounds rather confusing and maybe a reader can comment. We’ll try to get some definitive answers! Anyway, it all ended up in James Bay’s favor. CW had the edge, 19 – 17 at the interval but the Bays went to 36 – 19 and CW finished with a flourish, 33 – 36, with a final penalty being missed from out wide. As I did not see the match and The Sage was unavailable, a read of the JB match report gave a convincing win to the locals with some kind of intimation about the inaccuracy of the referee’s time piece being the causal factor for the late closing of the gap. Oh well, and so it goes! Congratulations to Whitey and his boys, a probable pre-cursor to many more. 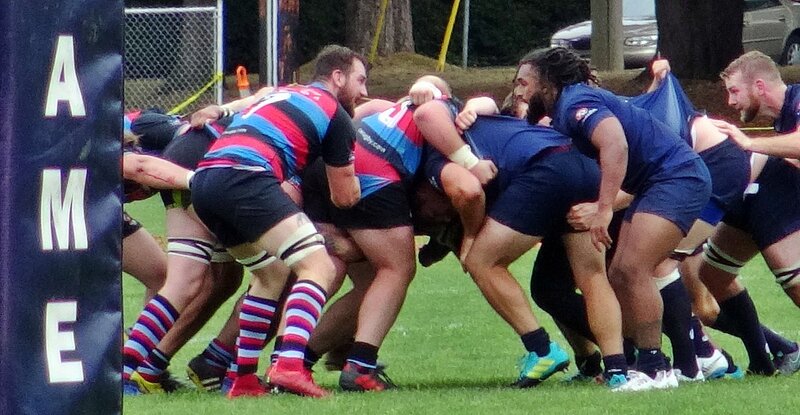 Elsewhere, the big news was the opening round defeat of the defending Champions, UBC Old Boys, in Seattle, 33 – 22. Seattle, always an enigma, depending on their selection, obviously had the goods on this day! This coming Saturday, sees Opening Gala Day at Windsor with the opposition being UVic. More news will be posted later in the week. 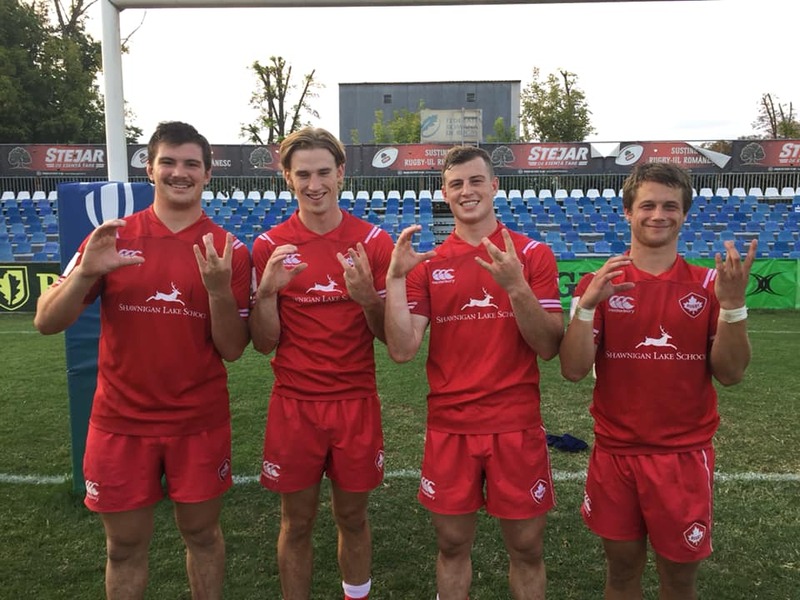 CW U18’s will have major gaps this weekend for their opener with Jack Carson, Henry Down, Zach Monkton, Joshua Mao and Max Abercrombie, all in Vancouver for Canada U18 Trials. Best of luck boys, do The Tricolor proud!